Where There Is Risk, There Must Be Free Choice. Monday May 11th the Joint Standing Committee on Health and Human Services of the Maine Legislature will be hearing testimony on three vaccine bills that will significantly impact the freedom and health of Mainers. The Maine Coalition for Vaccine Choice and her friends will be there in force to walk the halls to educate legislators, hold a rally, and testify before the committee. 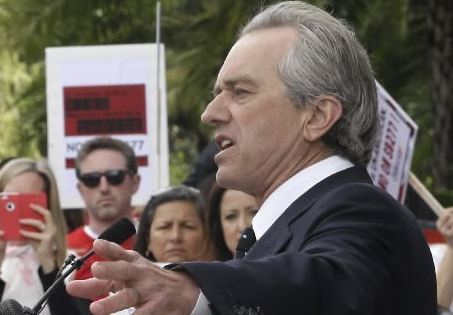 We are pleased to announce that Robert F. Kennedy, Jr. is scheduled to join us that day in our efforts to shed light on the problems in the vaccine program. At noon we will hold a rally at the same location. RFK, Jr. will be our keynote speaker at the event. Hearings will continue in the afternoon at 1pm. Please wear red so that we can be easily identifiable as a group. Please join us in advocating for the rights of parents and individuals to decide what goes into their bodies.